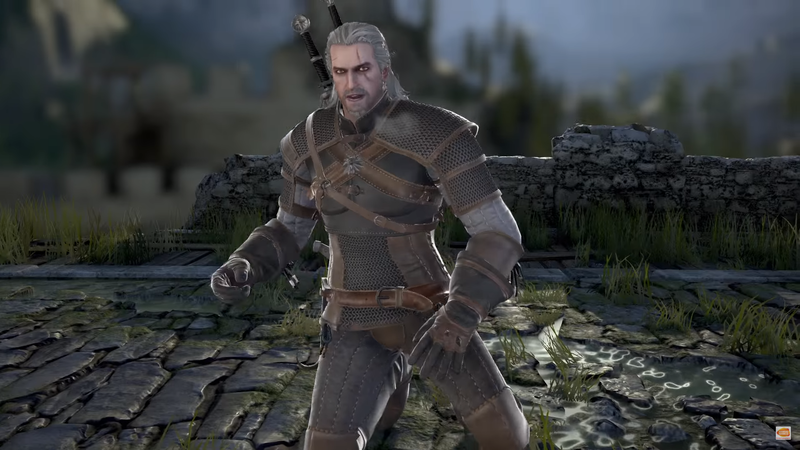 Geralt of Rivia, the main character of The Witcher series, is going to be among the playable characters of the upcoming fighting game Soulcalibur VI. The character has been confirmed today with a new trailer following a tease shared on the series’ Official Twitter profile yesterday. A Kaer Morhen stage has also been confirmed. Last month, some interesting information regarding the development of Soulcalibur VI emerged online. The character roster has yet to be revealed in full, and it seems like the team wanted to include characters using more realistic fighting styles. Those being character styles like a “traditional and semi realistic” swordsman using real sword techniques that aren’t usually in video games. They were given examples like “Half-Swording and the Murder Stroke” specifically. They actually cited the game For Honor as inspiration for this, as well as a couple people as part of the battle team getting into American Medieval Sword Fighting via youtube channels dedicated to it. Things like ScholaGladitoria does. They said they don’t think it means they specifically watch things from that channel, but was at least given as an idea as to what they meant. But I guess it could’ve meant that one. I found that interesting regardless. Soulcalibur VI launches on PC, PlayStation 4 and Xbox One on a yet to be confirmed 2018 release date.